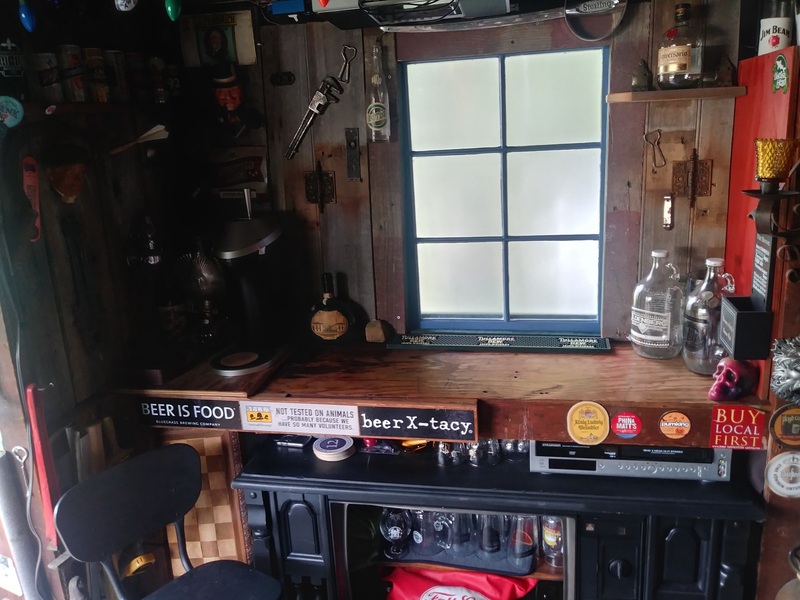 My buddy JC donated the barn wood for the bar area inside the shed along with the roof structure for the beer garden. 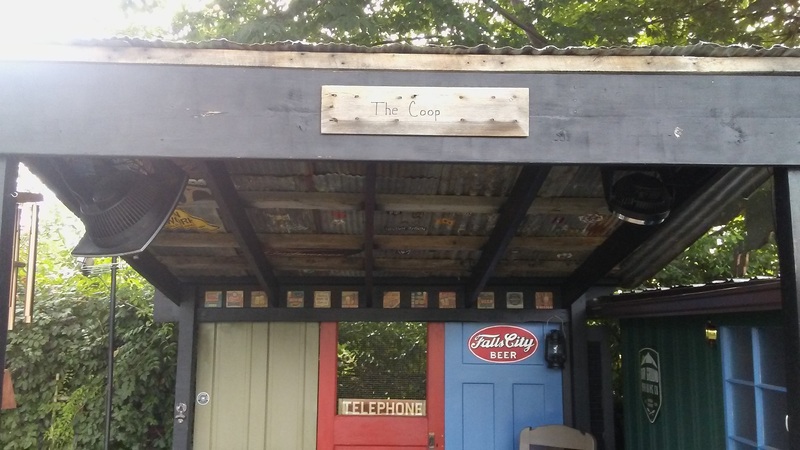 We decided to nickname the beer garden area “The Coop” because the materials came from his old chicken coop. I will dress up the beer garden sign a bit more later as I left room to the right of the wording for a logo of some kind. 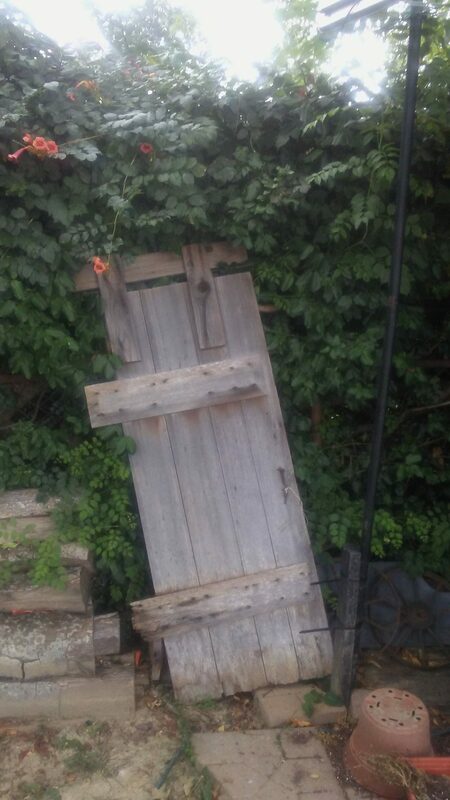 Here is the door from my friend JC’s chicken coop used to make the beer garden sign and complete the wood look on the inside bar area. Added the mini metal logo above the beer garden – thanks Shane ! !